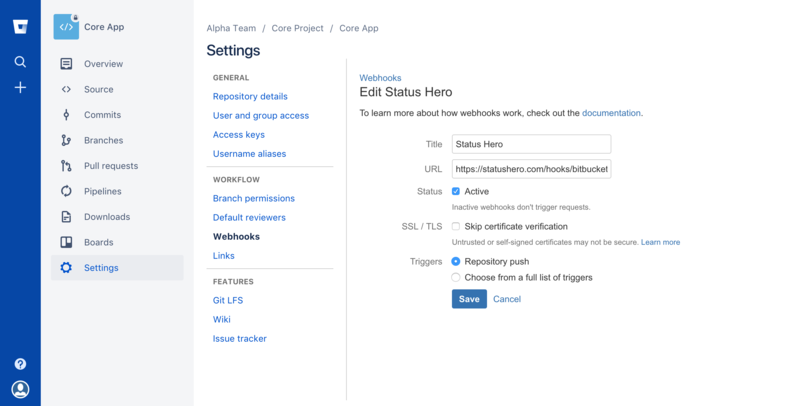 Here's how our Bitbucket integration works: you connect repositories to Status Hero with a webhook and Status Hero will match up relevant push events to your team members. The commits in the push event will appear in the activity page and alongside their check-ins. To use it, first, visit the integrations page in the team settings in Status Hero and copy the URL listed there under the Bitbucket panel. Paste the URL that you copied from Status Hero and click "Save." 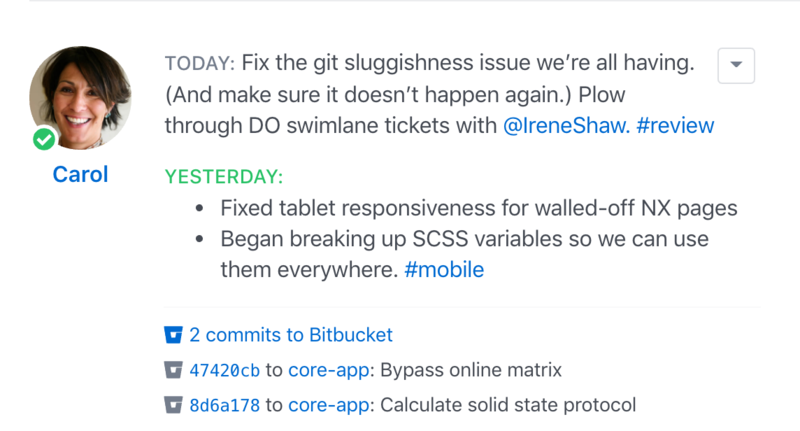 To test it out, make a push with a new commit in the Bitbucket repo and look for a new entry in the activity stream. Make sure that the commit authors (not the person who "pushed" to the repo) match up either by their Bitbucket display name or Bitbucket username with the first and last name of the people on your team in Status Hero. If you are using the cloud version of Bitbucket, check to make sure the email address that is being used in Bitbucket matches the email address that is being used in Status Hero. If you or a team member is using a different email address in Bitbucket, set the secondary email to match the one used in Bitbucket. 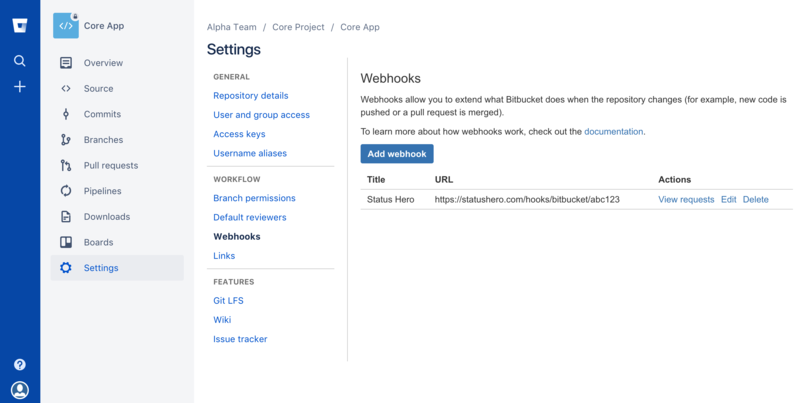 Note: The Bitbucket integration is available in Pro and Corporate plans only. If you are subscribed to the Basic plan, you will need to upgrade to use the Bitbucket integration.